Welcome toÂ HiteshÂ Steel, Exporter and Supplier of Ferrous and Non Ferrous Metal Products. We are an ISO 9001 2000 certified company, incorporated in 1984 atÂ Mumbai. Our products are approved byÂ ASTMÂ andÂ IBRÂ standards and we cater to Refineries, Gas Processing and other sectors. Exclusive product range, High grade raw material and Experienced Manpower are the plus points of our organization. 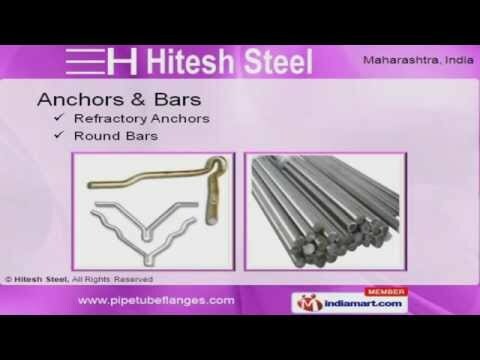 We offer a vast range of Anchors, Bars, Sheets, Plates and Coils. Bolts and Nuts offered by us are well known for their durability. Our Anchors and Bars are best in the industry amongst others. We also provide Washers and Screws that are reckoned all over the world for their superb quality. We are known in the industry as the manufacturer of Sheets, Plates and Coils. Our organization is highly involved in providing an impeccable range of Pipes, Tubes, Fittings and Flanges.